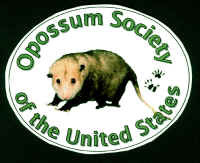 Volunteers for Orphan Care, Injured Care, Public Education and Counseling are not seriously considered unless they join the Opossum Society of the United States or are an experienced member of another wildlife group. The membership packet and quarterly newsletters that accompany membership provide vital information for volunteers. ▢ I would like to help raise orphaned opossums. Please place me in contact with a wildlife rehabilitator in my area. ▢ I will feed and care for infants (4-8 feedings per day). ▢ I will feed and care for young (2-3 feeding per day). ▢ I can pick up and transport opossums to nearest wildlife rehabilitator. ▢ Keep me informed about orphan care training sessions. ▢ I can feed and care for injured opossum under guidance of veterinarian and wildlife rehabilitator. ▢ I am interested in educating the public about opossums (give presentations to schools, man a booth at an event), after instruction. ▢ I would like to be an area telephone counselor (receive telephone calls from the public), after instruction. ▢ I would like to contribute articles for publication in the ‘Possum Prints newsletter. ▢ I can not help at this time. However, I would like to make a donation to help the injured and orphaned opossums. Do you have any special skills or services you would like to offer to help the opossums? For example, can you build cages, clean cages, donate services or products, etc. ?